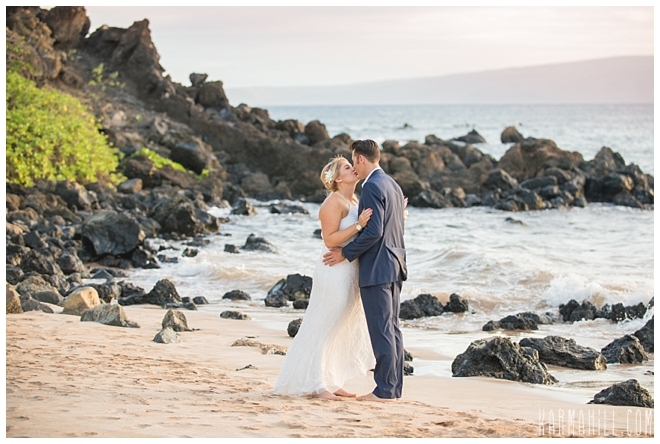 It was a beautiful evening at Southside beach, perfect for a Maui beach wedding! 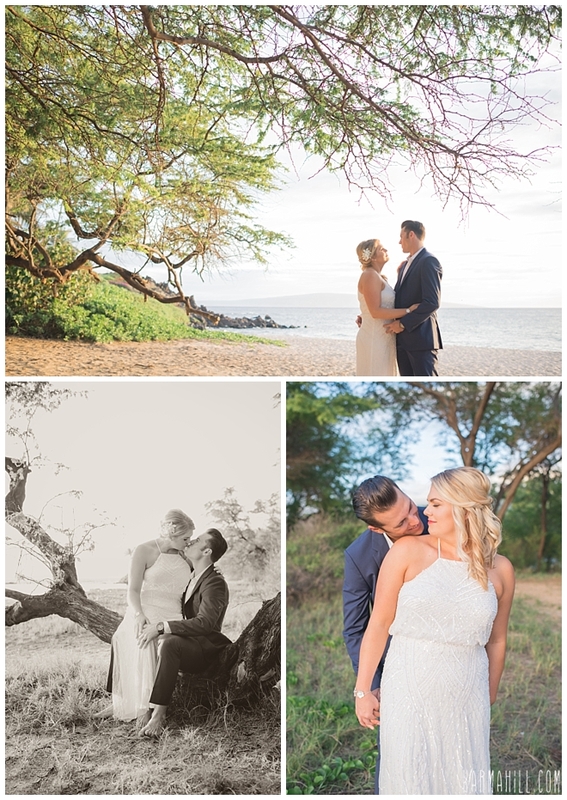 Brittnay & Adam were the lucky couple to get to take advantage of the night! 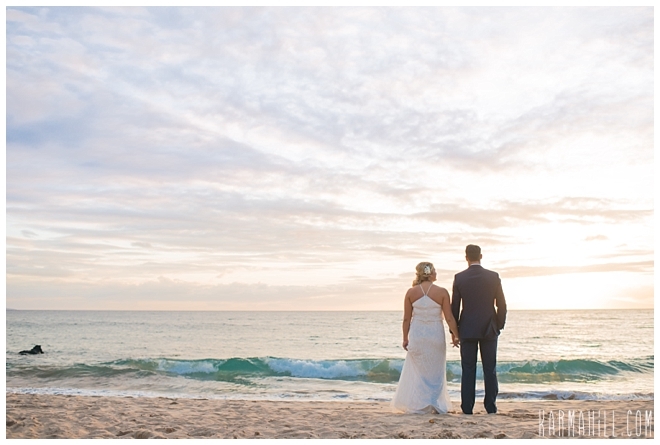 It had been very rainy in the days before their wedding so we felt blessed to have such perfect weather. 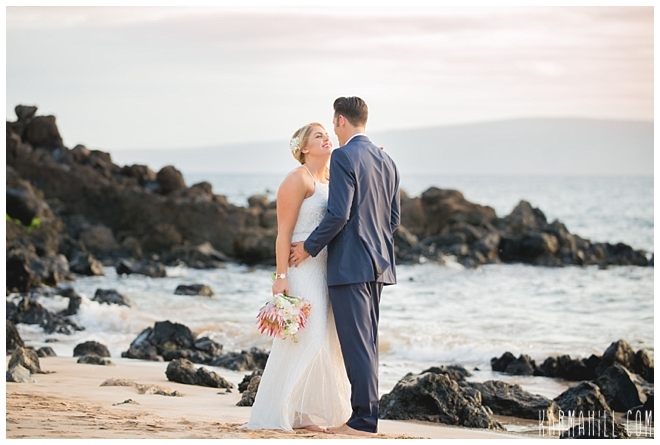 Brittnay & Adam were married on the shore by Reverend Kimo Kirkman. 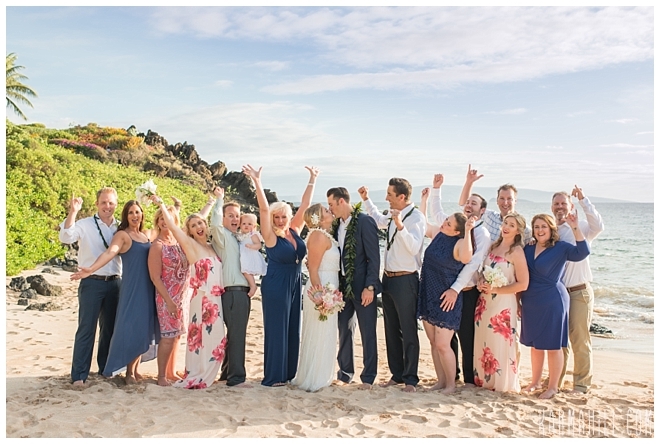 They were joined by friends and family and an adorable bridal party! 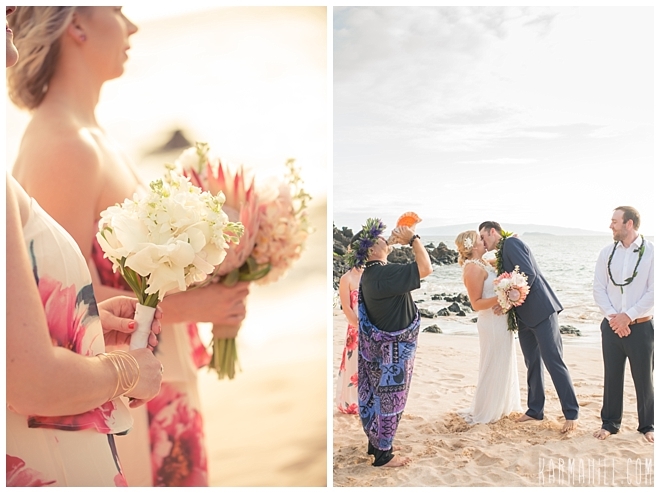 We love the floral bridesmaid's dresses and the contrast of the pinks and navy blues!!! 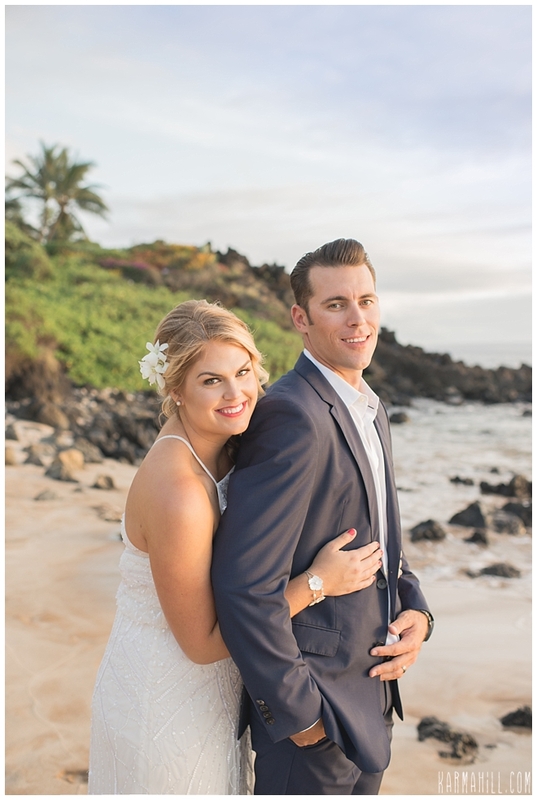 Nice work Brittnay & Adam! 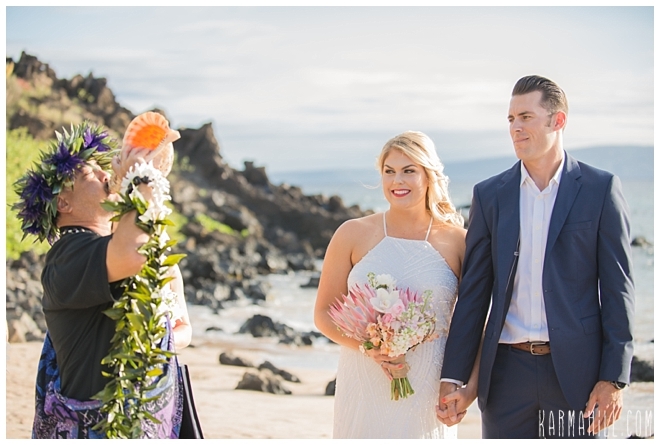 After their heartfelt ceremony staff photographer, Sasha released the guests to head to the reception and stole the couple away for the romantic couples time. 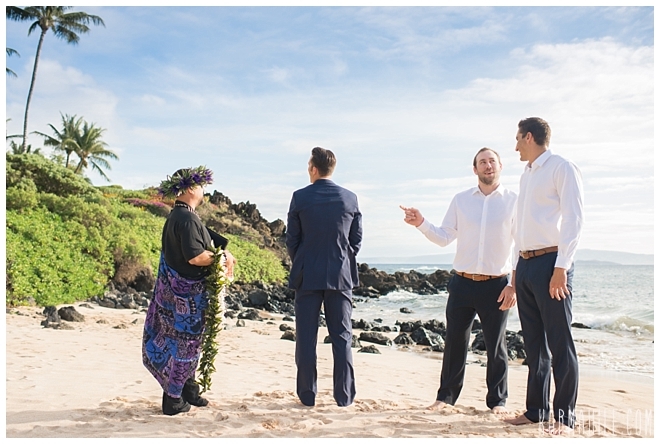 Their sweet and fun-loving personalities really came out for this! 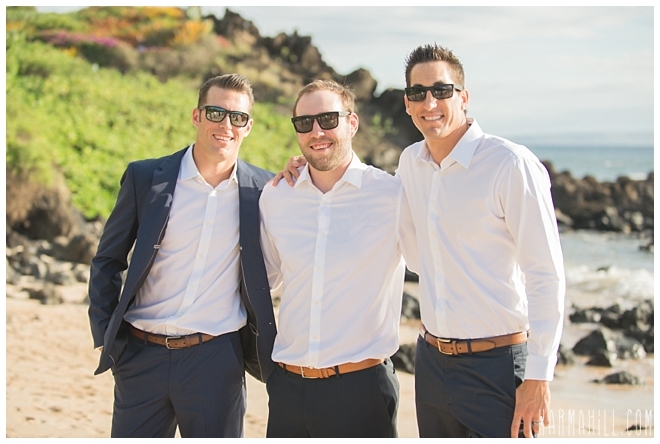 They laughed and played and truly enjoyed each others company... which as you know, makes our job very easy!!! 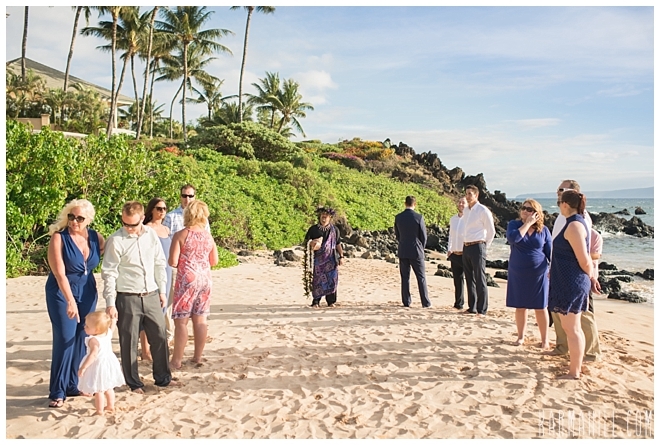 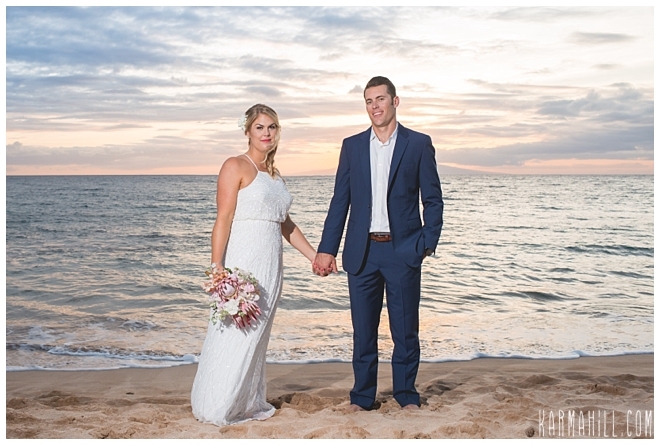 Mahalo Brittnay & Adam for choosing us for your Maui beach wedding! 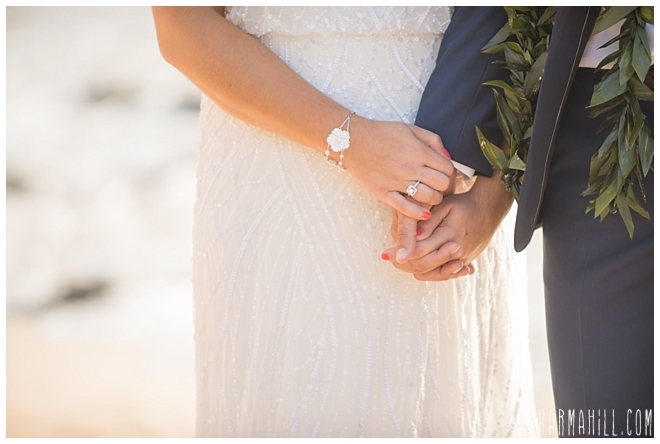 We hope you enjoyed your day and that you love the pictures you now have to remember it by!!! 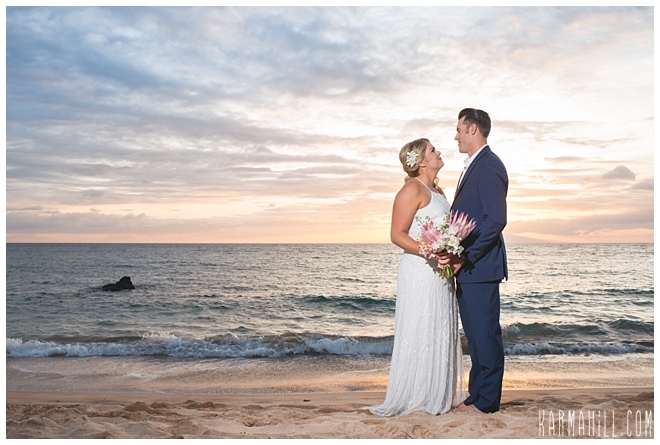 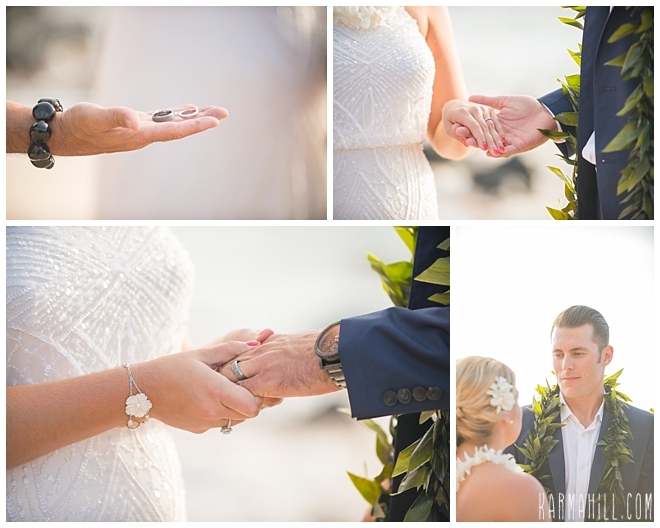 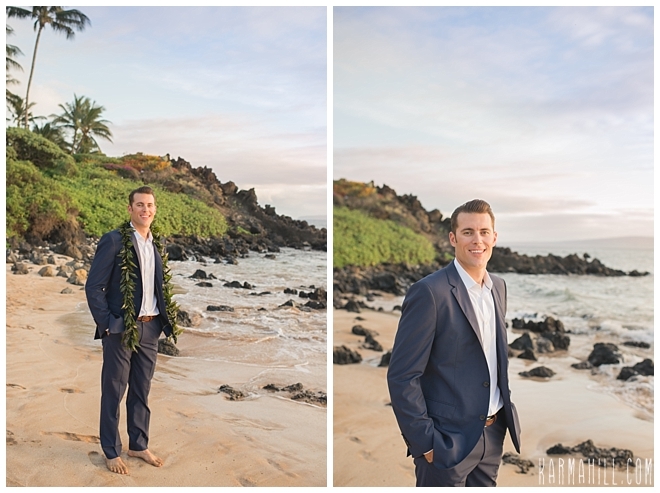 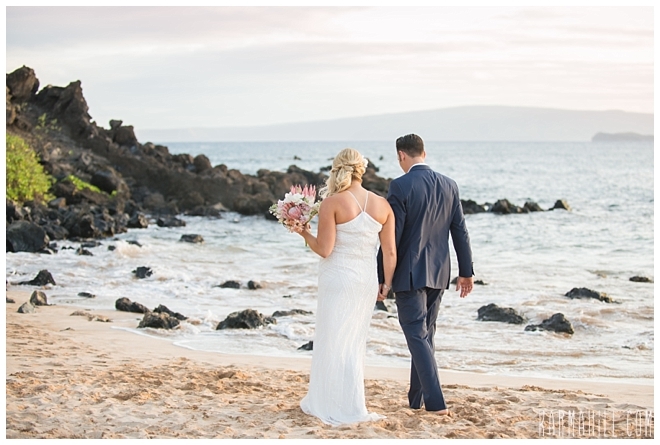 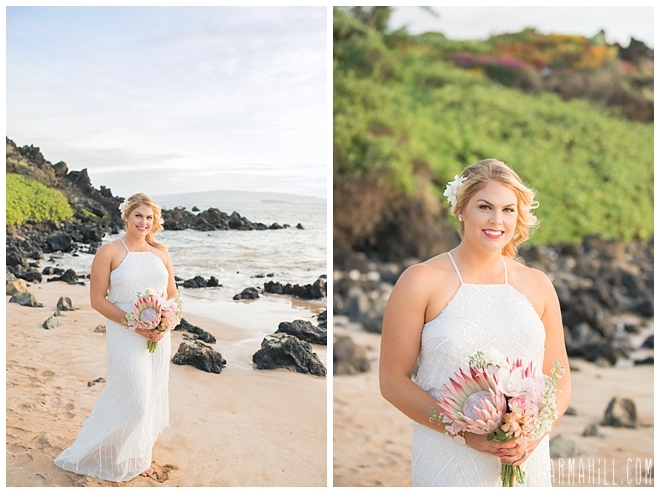 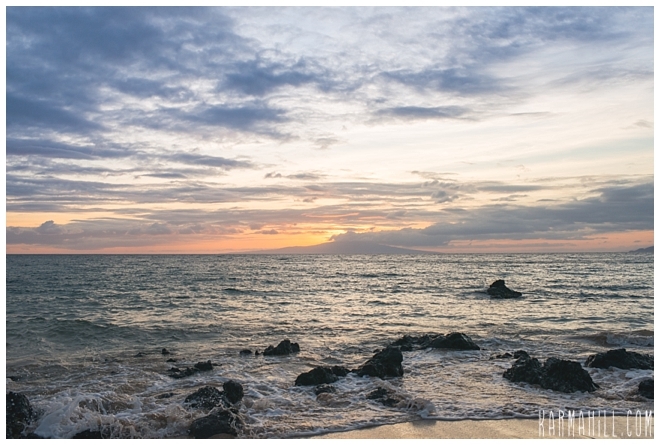 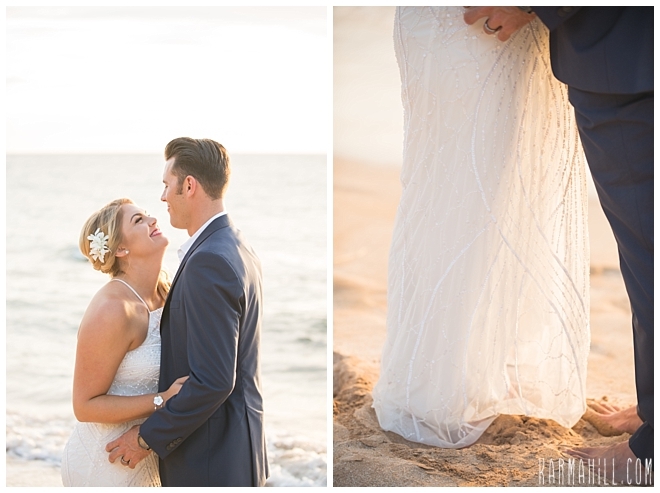 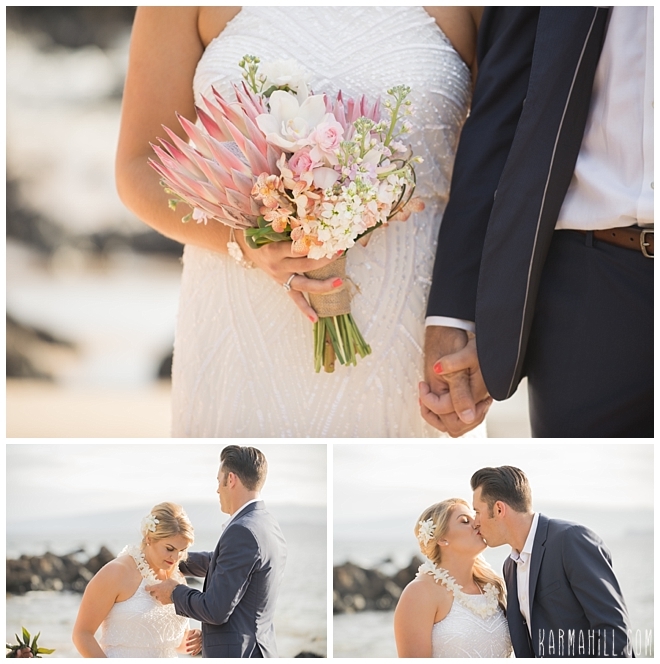 Check out our last Maui beach wedding with Tiffany & Justin!